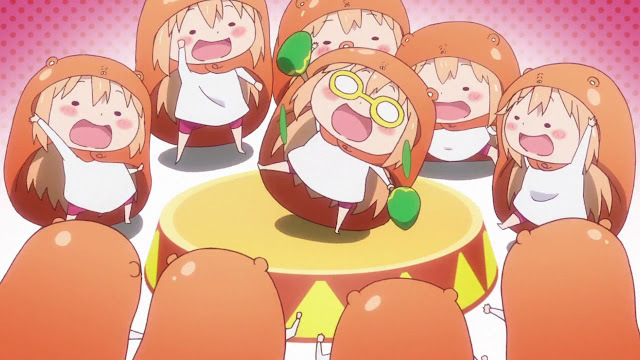 Himouto! Umaru-chan is a light hearted slice of life anime with some unique elements that makes the show rather interesting to watch. 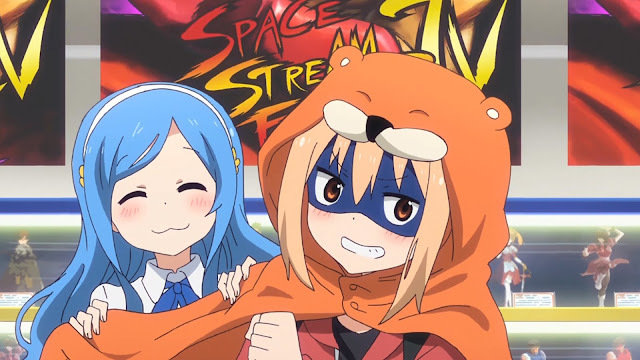 The characters, or the star of the show, Umaru, is the mascot of the season. She is what most of us apire to be, perfect on the outside, yet living a carefree and frivolous life when no one is watching. Being a slice of life anime in its core, there are no specific or linear plot line to follow. The show basically center around Umaru as she lives her double personalities life, literally. Elements that are being put into the show include friendship, family, having a good time together and satire towards the otaku culture at time. In retrospect, the show delivers what I would call a cultural comedy. You can spot a lot of references here and there, which can be really amusing at time. Most of the show however focuses the relationship between Umaru and the other characters, mainly her brother and her friends. She kept a neutral relationship with her brother at home, showing her true himouto side. 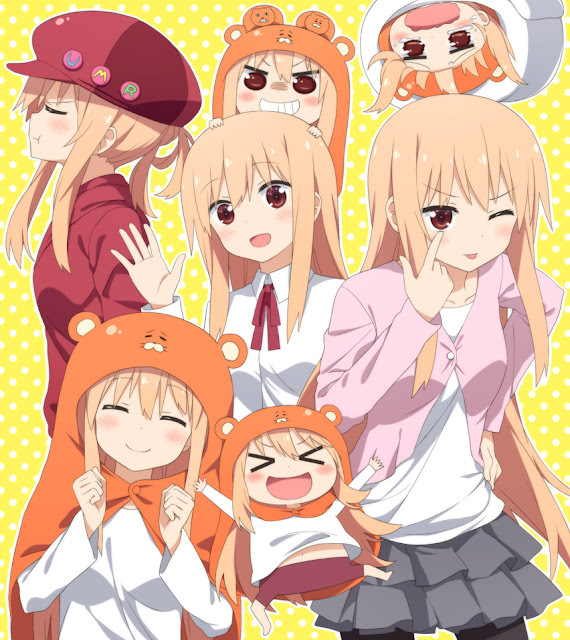 As such, only her brother knew her true side, and both of them shows familial affection towards each other despite Umaru unreasonable demand and quirky personalities. 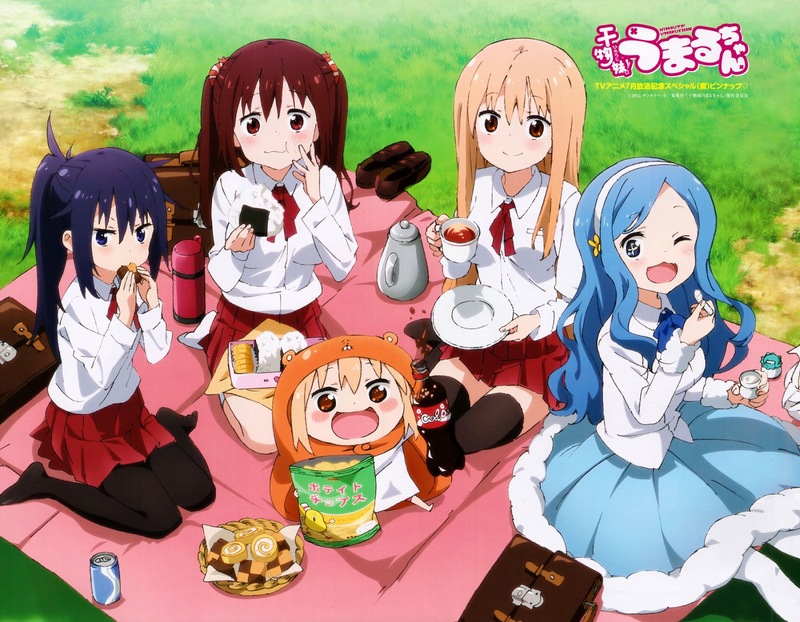 Her personalities with her friends however, varies depend on how Umaru interact with them. She went from a perfect high school girl mode, rival gamer mode and even self-proclaimed little sister mode. 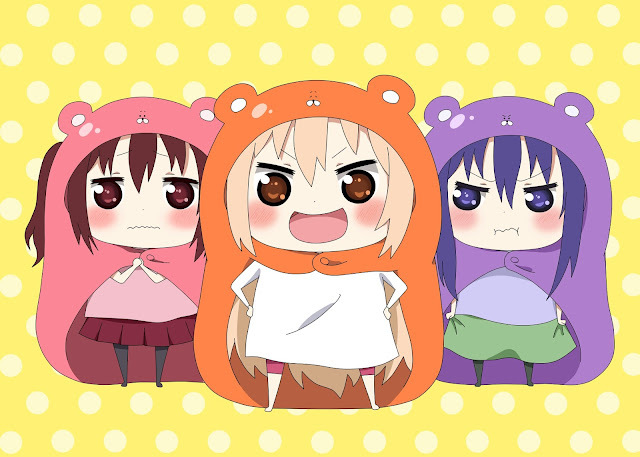 It does give variation on how the story and pacing change with each different Umaru personalities. The only problem however is that like most slice of life show, most of the interaction can be rather dull sometime with nothing in between some scenes. It is not so much of a problem however if you enjoy a slow anime with hilarious comedy. The characters in this story are a mixture or basic archetype with their own taste of uniqueness. Umaru is great. When in her perfect, role model high-school form she is basically flawless, with beautiful appearance and elegant personalities. Her main selling point however is in her deformed form at home, where she basically looks like a chibi version of herself with hamster hoodies and spoiled brat personalities. A complete opposite. Yet for some reason however she manages to hide this from most people excluding her own brother. She is what most of people could relate too; people who really loves their hobby but can't really show it to other people outside. As such, people had to build facade just to fit in with the society, ultimately hiding their own hobby out of public eyes. Her brother however, plays a major role as a moral and physical support for Umaru. Taihei understand his sister hobbies and mostly let her be in her own world, while taking care of Umaru at the same time. He is indeed a role model for what an understanding older brother could be. 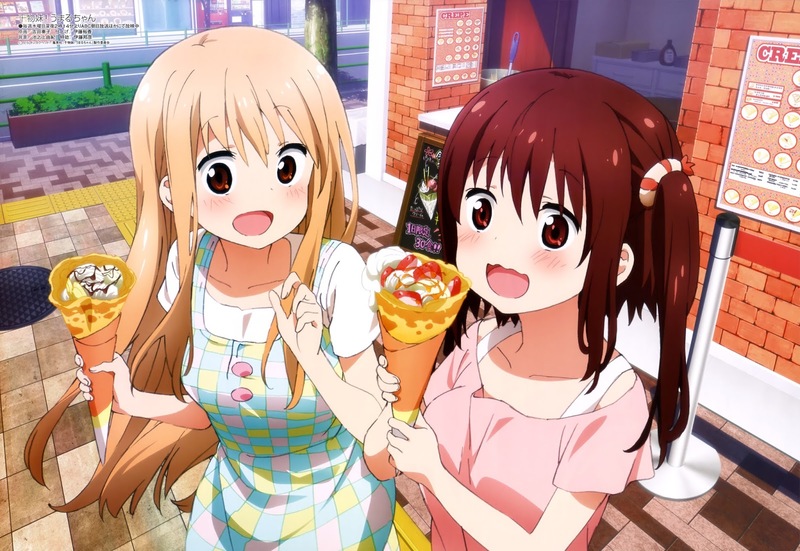 The series also consists of other characters ranging from Umaru’s shy childhood friend Ebina, self-proclaimed rival Sylphynford, and the bizarre and frightening girl, Kirie Motoba. Each of them has a different personality that makes them stand out on their own. The art and animation are above average at most. The bright colour palette and cheerful art style fit in with the slice of life+comedy theme. In essence, the artwork is simplistic yet effective. The animation are mostly fluid and acceptable. The music stand out on its own, most notably the OP scene, showing Umaru double personalities with notable references and catchy, fun music. The ED scene is decent, while the OST mostly fit in with the scene pretty well. Although Himouto! 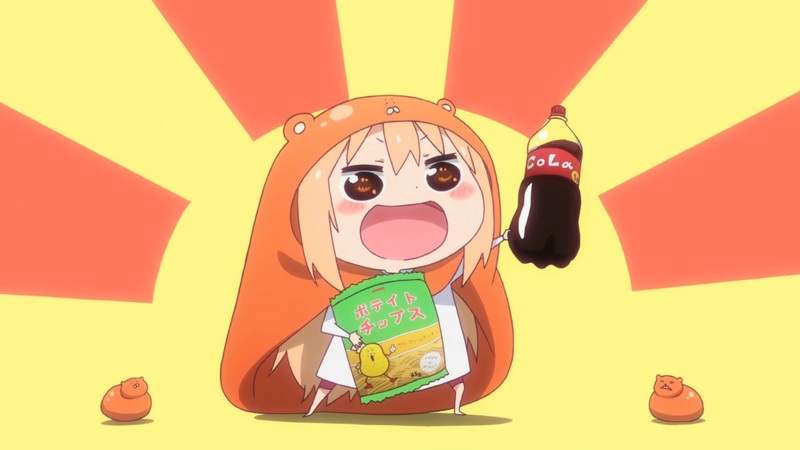 Umaru-chan is not a particular distinctive anime in term of comedy, it does has its own fun moment and convincingly gets the audience to laugh. 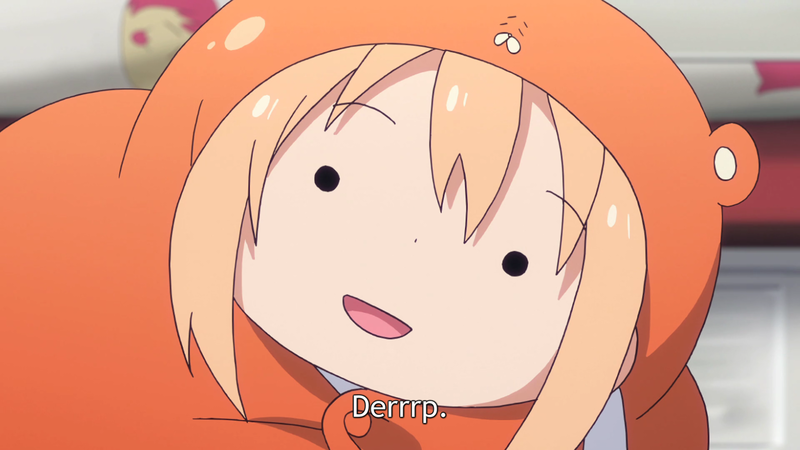 There’s enough jokes in the series that makes it look like satire and in general makes fun of the otaku culture thanks to Umaru. It also has enough time to not forget about the other characters given its steady pace. 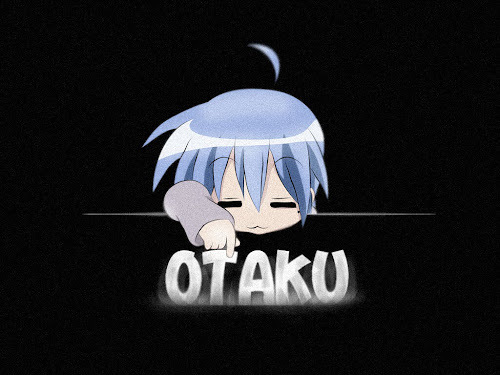 It is a decent anime to watch overall; it is not a masterpiece or a great piece of work, but it is fun nevertheless. Or watch it just for Umaru.